The Travelin' Lundburys: JUST FOR MATT.......GERMAN EDITION! 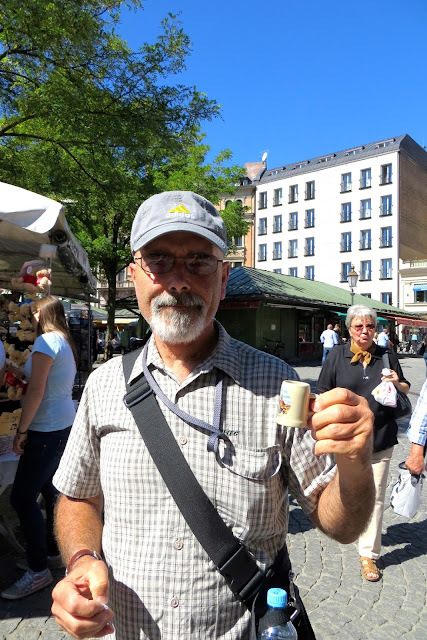 We certainly haven't had any trouble finding you a shot glass in Munich! Here's your Dad with your latest "treasure"
Sorry to say that it's not blessed by the pope, and it doesn't lean like the Leaning Tower of Pisa.....but it IS a cool German beer mug shape! Wow... can't drink much beer out of that!